As an ABM Practitioner, my goal with children with special needs is to help their brains become better at organizing thinking, emotions and action, regardless of their given diagnosis. The exciting breakthroughs in the science of neuroplasticity show us that any brain can be maximized for better functioning, even with damage. In the natural process of development, as a child becomes more aware of himself through movement, and in relationship to his environment, his brain is continuously forming new and complex connections. 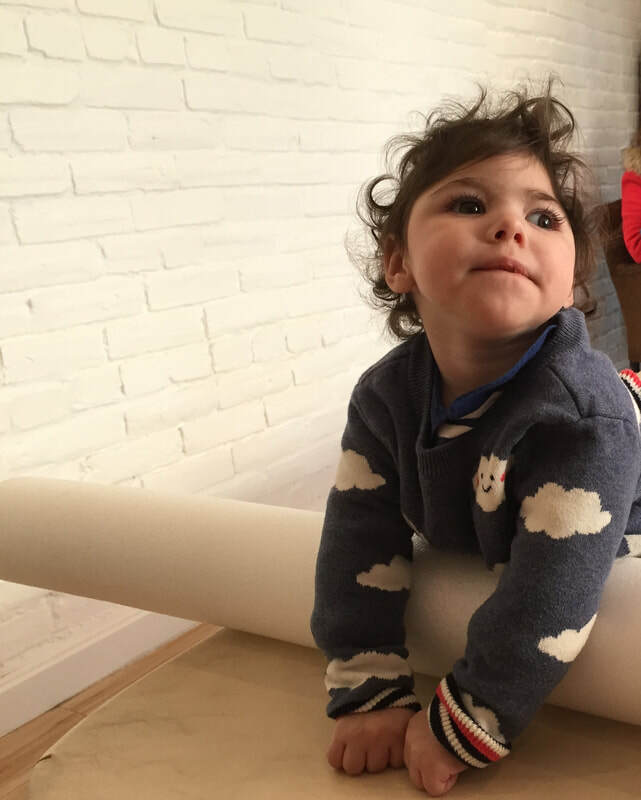 This leads to the gradual learning of abilities such as rolling over, creeping , crawling, sitting up, talking and eventually walking and running. For children with special needs, this process is interrupted by the conditions of disease, sickness, trauma, or damage to the brain. Dysfunction in movement is the first place we notice that something in the child's brain is not working well. The ABM is a way of providing a child the missing experiential input, movement, that promotes those rich neural connections to form. In a sense, I am lending my own brain maps to that of the child, until he has enough input to create what he wants to do on his own. Parents can become powerful catalysts for their child's growth and healing by using the 9 essentials of the ABM. As the child's brain begins working better, the changes can show up physically, mentally and emotionally, reflecting the way the brain is connecting the dots, or mapping itself. This acquisition and refining of skill- learning- literally rewires the neural circuitry, driving functional processing to the areas of the brain that are healthy and available, and strengthening the connections. In keeping with the principles of ABM, my intention is not to fix a child's limitations, but to provide the context and conditions that will allow a child's brain to grow, in order to move into his/her next possibility. I have been humbled by working with children whose families were told that their child will never do "X" . Witnessing such a child grow, heal and overcome limitations through the ABM process proves that brain power is a much stronger force than the symptoms of the diagnosis. What type of CONDITIONS is this useful for? ADD, ADHD and Autism, Down’s Syndrome, Premature Birth, Stroke, Brachial Plexus and children with any one of the following conditions: cerebral palsy , microcephaly, macrocephaly, developmental delay, low tone, high tone, genetic disorders, trauma. While every child is unique, in general children show the most change when they receive clusters of 6 to 10 lessons within a short period of time, supplemented with weekly lessons in between. I schedule sessions together with each family in a way that will best help the child grow towards outcomes, and to accommodate the family's goals and needs. *In keeping with the principles of ABM, I will never try to accelerate a child's natural process in order to meet developmental "milestones". For example, ABM does not advocate the use of tummy time, or putting a child in sitting before he can get there himself. Pushing a child to perform (complex)actions before he has the underlying neural network to actually do so confuses important brain mapping processes that are necessary to healthy brain development and self identity.